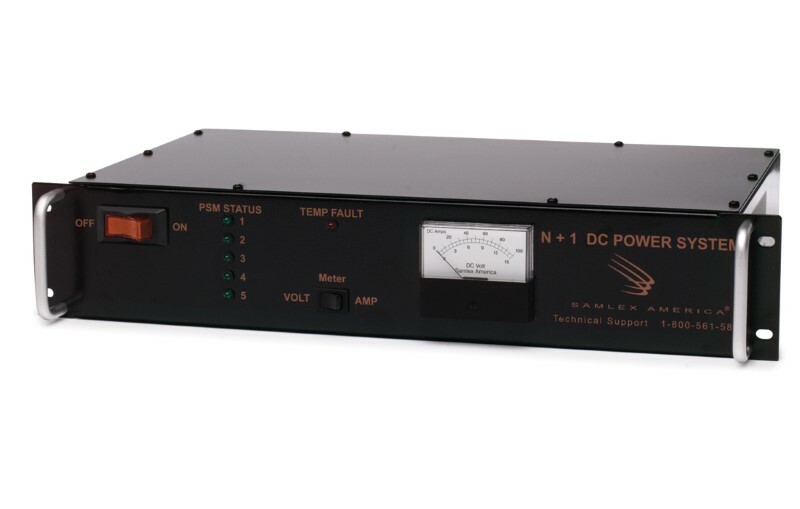 This modular 19″ rack mount AC/DC power supply can provide up to 80 Amps of continuous power. The output DC voltage is highly regulated at 13.8 Volts (210-250 Volts, 50 Hz AC input). 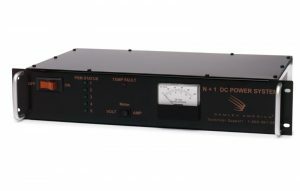 Output power can be expanded in increments of 20 amps (up to 100 Amps max.). An external battery can be connected for backup and a section of the output current (up to 8 amps) is diverted to charge the batteries when in a state of discharge, using the built-in battery backup module. The battery supplies the DC load when loss of utility power occurs. Features include N+1 redundancy, front panel analogue Volt/Ampere Meter display, remote monitoring and indication by 25-pin D-sub connector, fan failure warning and alarm indication.